Seasons of connecting and seasons of disconnecting are both vitally important. Sometimes, you can’t connect to your set person until you DISconnect from another set person. Some people cannot co-exist in your life simultaneously without causing confusion, unrest, and ultimately stunted growth. Sometimes, you have to make a hard decision and stand by it with everything in you, especially when you have heard God’s voice on the matter. For some, there is no more hopscotch; choose and then stand by your choice. Some people are anointed by demon powers to bring out the BEAST (not best) in you. Once you are around them, you find yourself thinking and doing things that you ordinarily wouldn’t. Do yourself a favor and cut that cord. When you are strong enough to not be so easily influenced by them OR when they are delivered from that thing perhaps then you can reconnect. Until then, grab your pruning shears before the Lord goes for His. Psalm 84:11 – For the LORD God is a sun and shield: the LORD will give grace and glory: no good thing will he withhold from them that walk uprightly. Now, God wants you blessed and He wants you to prosper but He also expects us to abide in Him just the same. Some are waiting on marriage, money, jobs, business, health, relationships, and ministries. Examine your wait. Is your wait faith filled? Is your wait a submissive wait? Are you waiting for something to appeal to your flesh or is the thing you are waiting for going to glorify God somehow? What are your motives while you wait? 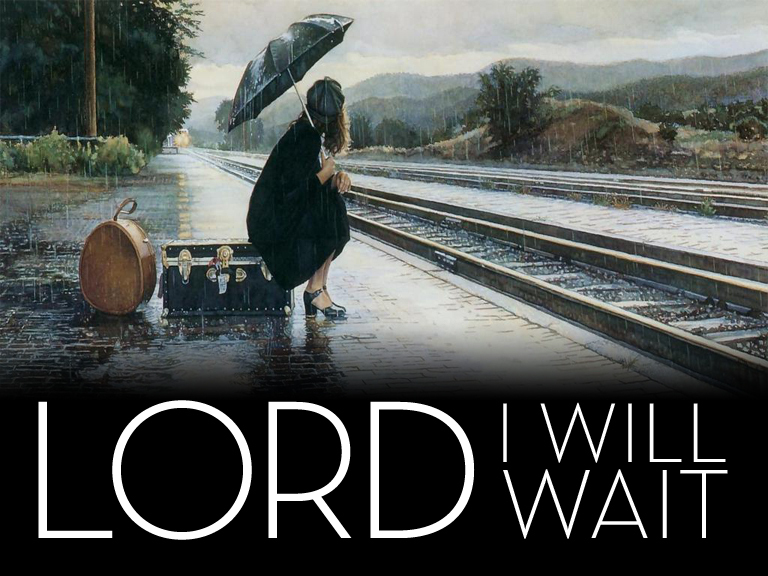 Are you serving God during your wait? Can God trust you to remain pure in heart as you wait? Are you envying or coveting in your wait? Are you trying to manipulate God into feeling sorry for you as you wait? Are you growing spiritually in your wait? Have you been productive as you wait? What is it about your life that is causing a prolonged wait? Are you passing character tests in your wait? Are you seeking deliverance from things that will kill your destiny as you wait? These are some of the questions you have to ponder as you wait. God is not an unjust judge. He knows what He is doing. He told Abraham that at the appointed season his wife would conceive. After almost 100 years, his promise was fulfilled. Why? Because he was obedient in his wait. He didn’t complain or murmur in his wait. He separated from certain people in his wait. Joshua waited for his turn in ministry. He served while he waited. He engaged warfare for his leader while he waited. He sat at the foot of the mountain of the Lord while he waited. Caleb waited for his promised but he continued to serve God in his wait. He had to cultivate a different spirit in his wait. Search the scriptures and study the ‘waits’ of others. Ruth waited for her Boaz. She served a widow in her wait. She turned from her heathen family in her wait. She was delivered from a sickly husband in her wait. People talked about her in her wait and she worked in the fields like a slave in her wait but she waited. As I stated, if the thing we have desired from the Lord has not come, there is a good reason why. There are SOME who will make their money their god, they will work their jobs and forget about Kingdom service, they will marry and make their spouse an idol, or worse, mistreat the one they begged God for. They will worship their house, their car, and their clothes and for SOME this may be why breakthrough has not come. Israel took the gold they were supposed to fund their promise with and turned into a holy cow. They worshiped the blessing instead of the Creator. They died in their wait. There is nothing wrong with the Lord’s timetable at all. His Rolex works fine; He knows how to tell time but He also knows the core of a man’s heart. He know us from afar off. He knows our down falls and uprisings. He knows it all; therefore, if He is withholding something, GO TO HIM AND FIND OUT WHY. And don’t leave until you get your answer. Watch for those vultures who glue themselves to you and drain the life out of you until there is nothing left and then leave you to move on to their next victim. Consider your ‘friendships’. Are you the giver or taker? Are you the ‘clean up person’, the repair man, or the get ‘er done guy? Don’t let folk use you because they will take great delight in doing so if you let them. And…some of you have been seeing the warning signs for quite sometime and still ignore them. The word ‘wait’ was one I hated in my infant days in the Lord. I had no patience whatsoever. I wanted everything NOW but when the Lord has to teach you the art of patience, He will draw everything out for you SLOW. Breakthroughs that you could have received within months will take years when you have need of patience because your short fuse, presumptuousness, and hastiness will set you back every time. Waiting is not your enemy; in fact, waiting is your friend. If you were truly ready for your blessing God would have given it to you. If He tells you to wait, trust and believe that there is a very good reason why. I thank God for my wait. My wait saved my life and is still saving lives today. Don’t hate your wait. Embrace it. The Best or the Beast! 2 Corinthians 6:17, “Wherefore come out from among them, and be ye separate, saith the Lord, and touch not the unclean thing; and I will receive you”. 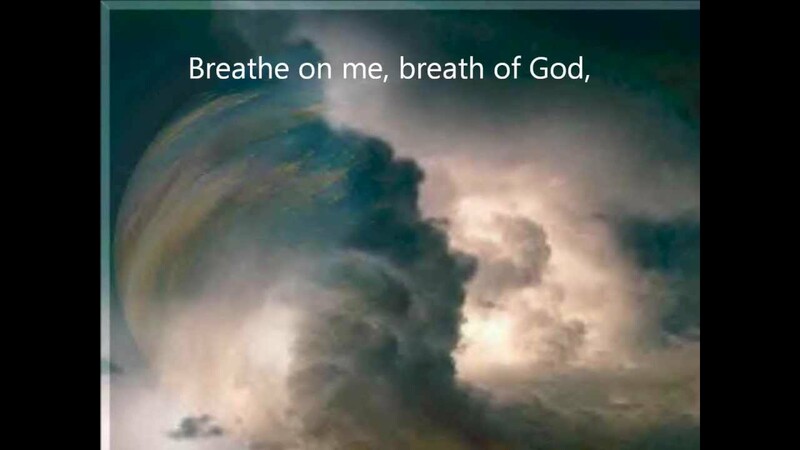 A teaching based on Genesis 2:7, God’s breathing into the nostrils of man. This one hour teaching will share with you the importance of prophecy, God’s intention for prophetic utterances, and how you can partner with Him and ‘marry’ His breath. Taught in my Prophetic Mentoring Group, I make lesson available for one week before it is archived to CD. Let us learn to not become what I call ‘spiritually arrogant’. There will be revelations and understandings that the Lord will reveal to us that some may never receive. It doesn’t mean that they don’t love God or even that they’re deceived; they are just ignorant in that area like you were at some point. That does not give you the right to look down your nose at them or to point fingers at their ignorance. Your role then is to become their teacher, if you have that influence, or to pray that God raises up a teacher for them. Consider the fact that before you received your ‘revelation’, you were in the dark too. Now that you have found this ‘jewel of knowledge’, use it to teach others not beat others. The Bible says that knowledge puffs up. It tends to swell your pride and ego if it not used in its proper context. A thing to notice about the religious rulers of their day is that they used the Bible to brow beat others. They even tried to beat Jesus with it. What God has given you is a gift of understanding in that area. Honor the Giver by handling it appropriately. Know the difference between someone walking in error and someone who is ignorant to a thing. Pray for them. Ask the Father to grant them understanding the same way that someone prayed it for you. Let me say this too. A quick way to fall flat on your face is to operate in foolish pride. Remember, you are no better than anyone else. God loves you and the person next to you the same though your responsibilities may be different. Don’t ever lift yourself up to cast someone else down. Pride goes before the fall. Humble yourself and walk soft before the Lord. Consider yourself lest you also be tempted.